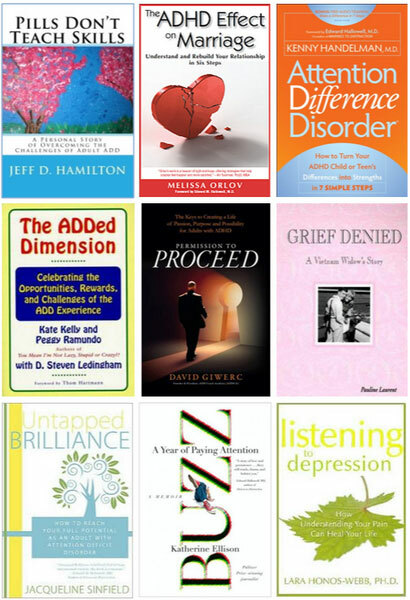 One of the greatest pleasures I get from having a blog, and running an ADHD Social Network, is that I get to promote other books about ADHD and their authors! If you are a member of ADDer World, please be sure to enter the contests. To enter the drawings check out the latest contest for details. The latest giveaway is always listed near the top right of the site. If you are not a member, then please do join us, all new members are automatically entered into the current giveaway contest! The above picture is of the books given away so far this year and the ones still to come for 2011! Let’s support the authors and ADDer World by spreading the word.